Figure 45. 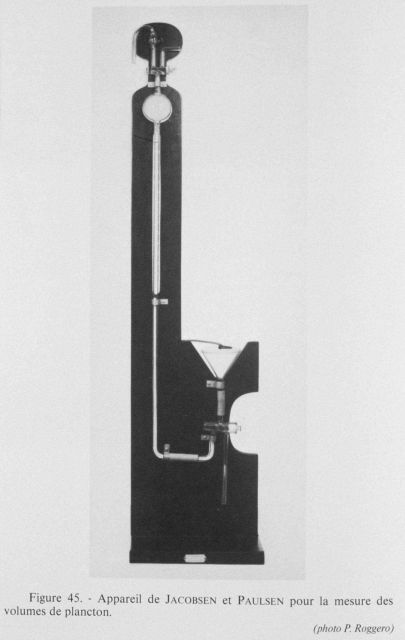 Jacobsen and Paulsen apparatus for the measurement of plankton in a water sample. Devised by Jacob Peter Jacobsen of the Danish Hydrographic Laboratory and Doctor Ove Paulsen, of the Botanical Museum of the University of Copenhagen, in 1910. This instrument was easier to use and less subject to “operator” error than the preceding model.